Seattleites love their dogs, and we do too. Seattle DogSpot is your go-to, one-stop website for all things dog in the Seattle area, offering the most comprehensive list of resources and a dynamic online community for dog lovers. 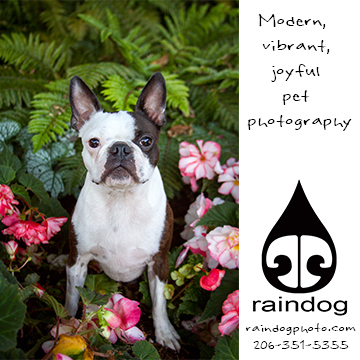 Since launching in 2012 we have quickly become the leading dog-related website in Seattle. We believe in giving people the information and resources they need to live a truly fulfilling life with their dogs, and we enthusiastically support and promote dog friendly businesses that do the same. 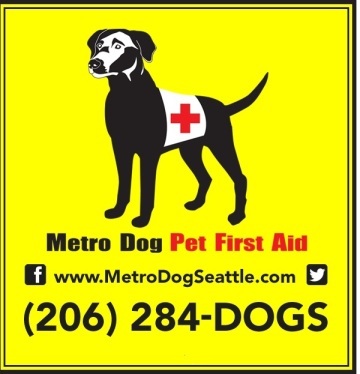 So whether you’re looking for upcoming dog events in Seattle, tips on how to find your lost dog, or a list of dog product and service providers, you’ve come to the right spot! How much do Seattleites’ love their dogs? Well, I’d say it borders on obsession. Dogs outnumber kids in Seattle by 45%. There are countless dog friendly restaurants and businesses, 14 off-leash dog parks, and dozens of companies, like Amazon, that allow people to bring their dogs to work. If I were a dog, I know where I would want to live! After my wife and I adopted two dogs, we became fully immersed in Seattle’s dog crazy culture. But one thing I noticed immediately after we got our dogs was that dog-related information in the Seattle area was spread out all over the internet and difficult to find. I started Seattle DogSpot to address this and provide Seattle dog owners with one spot to find all the information they need about living, loving and playing with their dogs in the Seattle area. I also have an award-winning blog where I comment about various dog issues and stories both here and in other parts of the country. Seattle DogSpot’s mission is to be an entertaining, opinionated, thoughtful, creative, fun, engaging, unique, innovative, helpful, and locally focused source of information about all things dog in and around Seattle. If you have any suggestions for how I can improve Seattle DogSpot, please send me an email at rpregulman(at)seattledogspot.com. I would love to hear from you! 2014 Hero for Dogs award from PAWS of Bainbridge Island and North Kitsap, for our coverage of the notorious Olympic Animal Rescue in Forks, WA, which was forced to shut down in December 2013. I will inevitably write about my own dogs on Seattle DogSpot (because they are the absolute best dogs in the world, of course!) so I feel I should introduce them. There’s Dylan, the most spectacular chocolate labrador retriever that anyone could ever have, and Miguel, our four-legged best friend from Mexico. I hope you enjoy meeting them. As my 40th birthday approached in 2001, I knew I no longer wanted a life that didn’t include dogs. It took some convincing to get my wife, Randy, on board with this idea. She finally relented when I agreed to get the dog from a breeder that could assure us it would have a calm demeanor. This ended up working out well for us, but we both now agree that we’ll only adopt shelter dogs from now on. There are too many great dogs that are euthanized in shelters every year! We finally got Dylan (named after Bob Dylan, of course) in January of 2002. Any reservations Randy had about dogs quickly melted away as soon as the breeders put Dylan in her arms. It was at that moment she officially became a “dog person”. She now points out any dogs she sees when we are out, and when she’s out of town and dog deprived, she will pounce on any dog she sees, especially if it’s a lab. We’ve had Dylan for almost 12 years now, and he has been a fantastic dog. He has a sweet, gentle disposition, he’s very well behaved, and he’s incredibly smart. We didn’t realize how smart he was until we got another dog, Miguel, who you’ll meet shortly. Miguel likes to save treats and flaunt them in front of Dylan, who like any lab gobbles up anything put in front of him in seconds. Miguel is also a self-appointed guard dog, and will investigate any suspicious goings on outside. Dylan figured out that if he looked out our back door and started barking, Miguel would come running to see what was going on. So now when Dylan wants to get a treat Miguel is hoarding, he goes to the back door and starts barking. When Miguel joins him, he runs back and eats Miguel’s treat. Clever dog! Although he has slowed down a lot in his old age, Dylan still swims, fetches, and begs for treats, just not as often as he did when he was younger (except begging for treats, that hasn’t slowed down at all!). He sleeps a lot more now, too, sometimes refuses to go on walks, and he’s got gray hair everywhere, even on the bottom of his paws. But his is still the most spectacular chocolate labrador retriever that anyone could ever have. In the fall of 2006, Randy and I went to a small town in central Mexico called San Miguel. Like most cities of Mexico, it is home to hundreds of stray dogs that roam the streets as poverty, education, and cultural norms trump spaying and neutering pets. It was tough for us to see all these sad, hungry dogs everywhere we went. One day Randy went to look at antiques we couldn’t afford (actually, she did that every day) while I walked around town on my own. As I walked I noticed a small, black and tan flop-eared dog with no tail that would start following random people in hopes of getting a food handout. He stood out to me because he actively followed people instead of lying on the sidewalk or in a doorway like the other strays, and he had a playful, prancing gait as he walked. When I met Randy and told her about the dog, she told me she met the same dog while sitting at a cafe. He used his sparkling personality to convince her to buy him a snack and then fell asleep on her foot after he ate. We took it as a sign that the same dog charmed both of us, so we agreed to take him home if we saw him again before we left. We didn’t have to wait long. Early the next day as we walked around the town we spotted him and he came up to us to say hello and followed us home. We then spent the next couple of days trying to figure out how to get him back to Seattle. It was surprisingly easy to get Miguel into the country. You may not be able to bring a piece of fruit across the border, but all you need to bring a dog is a statement from a vet saying the dog has had all the appropriate vaccinations and is in good health. It took about 2 hours for us to get one. Using a crate borrowed from a fellow dog lover we had befriended in San Miguel, the trip back to Seattle went smoothly and we introduced Miguel to his new family. He quickly adapted to our household and our other pets (Dylan and two cats) although the cats didn’t (and still don’t) appreciate the fact that he loves to herd them. Miguel has continues to amaze us with his intelligence and toughness. It didn’t take long for him to figure out how to escape from his crate and from the basement while we were out of the house soon after his arrival. Unfortunately, it also didn’t take long for us to discover that he had a life-threatening hernia. We decided to go for surgery, and we’re pleased to say that Miguel came through with flying colors and is running around stronger than ever! We’ve had Miguel for four years now and his only bad habit is waking me at 5 every morning by sticking his cold wet nose in my face. “Thank you for joining our pack, Miguel”. We work hard to provide resources, support, and news for everyone who loves dogs as much as we do. If you like what you see on our website and would like to see more of it, you can show your support by purchasing cool products from our store. We donate a percentage of all sales to local animal shelters and rescues.